SIMPLE STYLE FOR GOOD LIVING: Anne Grace is here today!! Anne Grace is here today!! 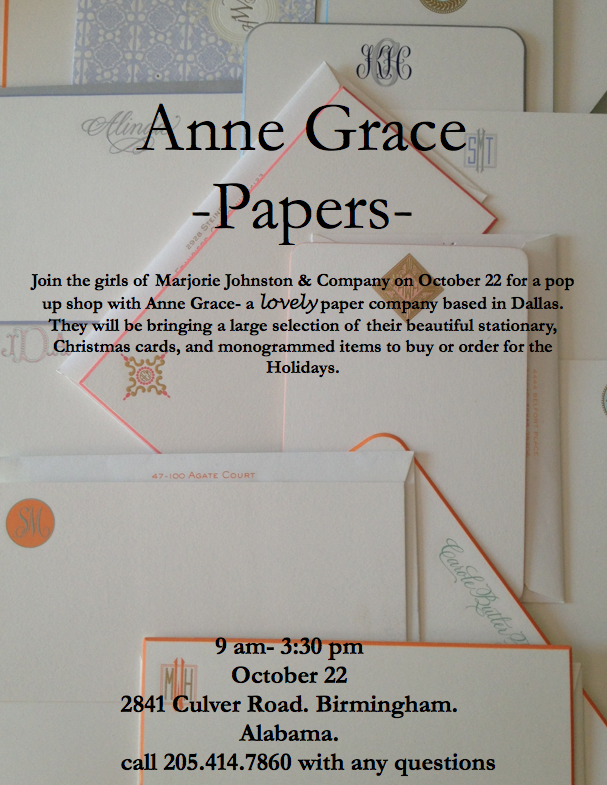 Come by the shop to see all the wonderful Anne Grace products in the shop. They have brought fantastic stationary, holiday cards, and other gifts. They will be here all day! See you soon! Amy Pleasant at Marjorie Johnston & Co.